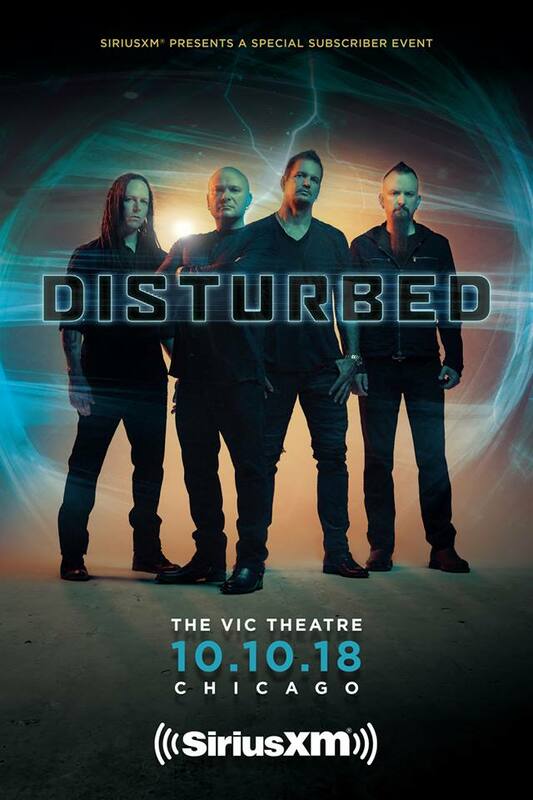 As they gear up for the October 19th release of much-anticipated new album Evolution [Reprise Records], two-time GRAMMY® nominated rock band Disturbed are teaming with SiriusXM for a special hometown performance at Chicago’s Vic Theatre on October 10th. This special SiriusXM subscriber event will air October 18th on SiriusXM’s Octane and Turbo Channels. That night’s electrifying setlist will include new single “Are You Ready,” which is already No. 4 at rock radio and climbing and its Roboshobo-directed companion video has racked up more than 3.4 million YouTube views in just a few short weeks. Fans that pre-order Evolution by clicking HERE will receive “Are You Ready” as an instant download. There are also special D2C packages available on the band’s official website. Evolution arrives in the wake of the multi-platinum group’s 2015 full-length Immortalized, which became their fifth consecutive #1 debut on the Billboard Top 200, earned a platinum certification, and yielded the triple-platinum crossover smash “The Sound of Silence.” The latter received a nomination at the 2017 GRAMMY® Awards for “Best Rock Performance.” Additionally, they took home “Best Rock Artist” at the iHeartRadioMusic Awards and received acclaim from The Wall Street Journal, New York Times, USA Today, and more. 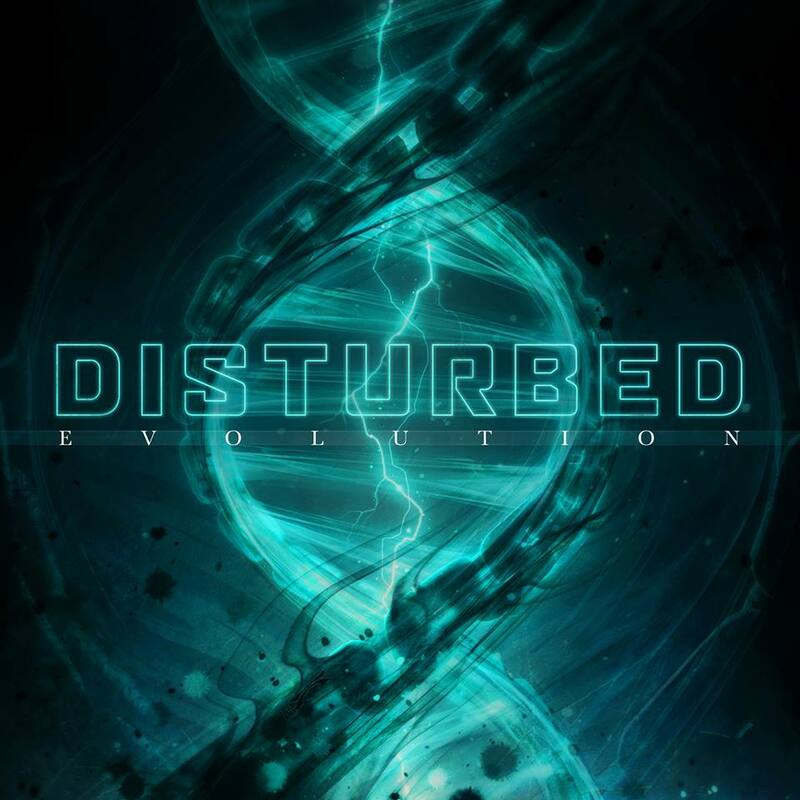 For Evolution, the band—David Draiman [vocals], Dan Donegan [guitar], Mike Wengren [drums], and John Moyer [bass]— re-teamed with Immortalized producer Kevin Churko and recorded at the Hideout in Las Vegas. 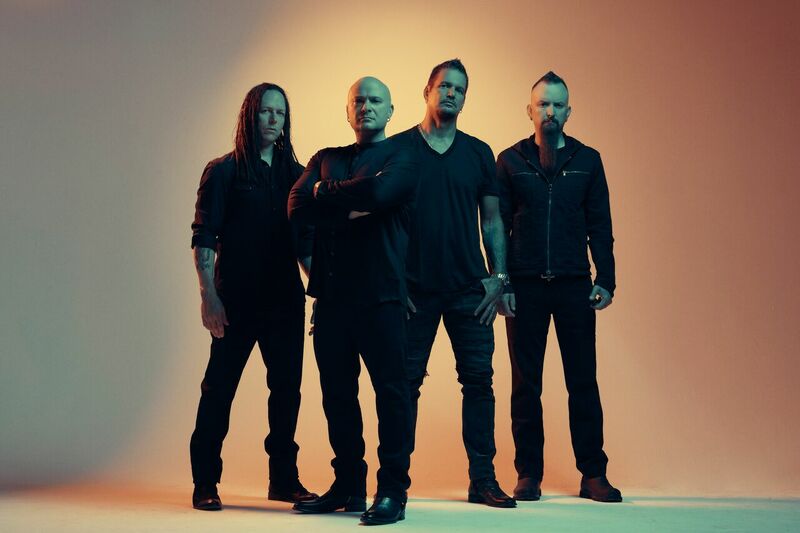 Simply put, DISTURBED are one of the most successful rock bands in modern history. The multiplatinum-selling quartet accomplished the rare feat of achieving five consecutive number one debuts on the Billboard Top 200. That accolade historically elevated them to rarified air alongside Metallica, the only other hard rock group to do so in the history of the chart. Immortalized (2015) received a platinum certification and spawned the triple-platinum crossover smash “The Sound of Silence,” which garnered a nomination at the 2017 GRAMMY® Awards in the category of “Best Rock Performance.” Since their formation in 1996, the band has sold 16 million albums globally and scored eleven No. 1 singles at Active Rock Radio. Their quadruple-platinum 2000 debut, The Sickness, formally announced their arrival as hard rock leaders, with that status solidified by subsequent GRAMMY® Award nominations as well as gold-, platinum- and double platinum-certified records, as well as countless sold-out shows around the globe.